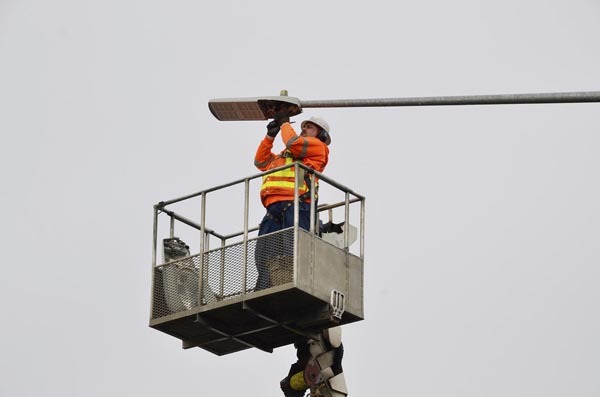 WSDOT’s Tom Knowlton installed the first LED lights in Washington state. Just days later, Olympia drivers saw the road in a whole new light. WSDOT expects the 88-light LED system to last 15 years, reduce energy usage by 1.7 million kilowatt hours of electricity and save $75,000.